The workplace can be a stressful, negative place. With one crisis happening after another, it’s challenging to see the bright side of life. Sometimes a simple attitude shift can help a workplace turn from toxic to positive. With positivity on your side, you can turn a good workplace into a great one. Having the right attitude goes a long way toward creating a collaborative spirit. By changing your attitude toward the workplace, you will model a better way of dealing with problems. You’ll be a beacon of light in your office, and people will come to appreciate the way you encourage others toward positivity in life. Psychology Professor Sonja Lyubomirsky of the University of California has focused her research on how employees can increase their happiness in the workplace. One method of gaining positivity is for employees to think about the reasons why they do their job. “Unhappy employees can improve their work life by adjusting their mindset to a ‘calling orientation,’” says Lyubomirsky. This means connecting your work with personal goals and aspirations. Workers who are thanked regularly for their hard work are happier. Thanking coworkers spreads positivity. Take the time to write a thank-you note or an email to someone who has helped you. Be sure to send a copy of your note to their boss. Take the time to smile and say hello to your coworkers. Make eye contact. Don’t go overboard or you may come off as fake, but simply putting a smile on your face will brighten someone’s day. If something isn’t going your way, take the time to calm yourself down before firing off an angry email or confronting a coworker face to face. Taking a deep breath and deciding on your next move in a calmer fashion will help keep your workplace positive. Try to be as civil as possible in your dealings with coworkers, clients, and customers alike. Especially in a demanding, fast-paced workplace, this can be a hard ideal to reach. Do your best, and don’t beat yourself up when you make mistakes. It’s nice to have birthday parties at work, but it’s even better to celebrate positive work milestones. Whenever a project is going well, meet this news with a little celebration. This will help to spread workplace positivity even further. Recognize fellow employees for their efforts. People work harder when they know that their contributions are valuable. You’ll find that your attitude toward work improves when you have a clean, organized workspace. Knowing where everything is will help you get your work done more efficiently. If you’re always digging for important papers on your desk, you’ll be stressed out and more likely to snap at a co-worker. This also applies to your computer files. Be methodical when you set up your organizational system. Take a little time to enjoy yourself at work. Take breaks to go out for a walk or jog. Ideally, take a work friend with you and spend the time building personal relationships. Playing games with coworkers can bring a fun spirit of competition that increases positivity. Take your department out for a trivia night or a movie. Employees are happier when they feel that their thoughts and contributions are valued. When you are working on a project, be sure to ask others for their take on the situation. Create an environment where people are less worried about territorial workplace behavior and more focused on collaboration. 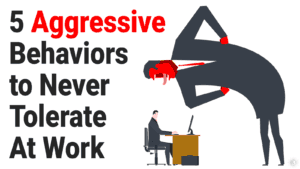 Too many bosses neglect this part of managing a workplace, and resentment can spread. Small, achievable goals can keep you motivated at work. Create some for yourself or for your workgroup if you are a supervisor. Setting the bar too high often leads only to disappointment when the goals aren’t met on time. Give yourself and your employees little rewards for accomplishing these goals. These 10 tips will help you create a more positive and friendly workplace. Small actions add up to major changes. Keep a smile on your face and try to be flexible. When you model friendly work habits, you’ll encourage others to follow your example. When you take care to spread positivity in life, other people will respond.